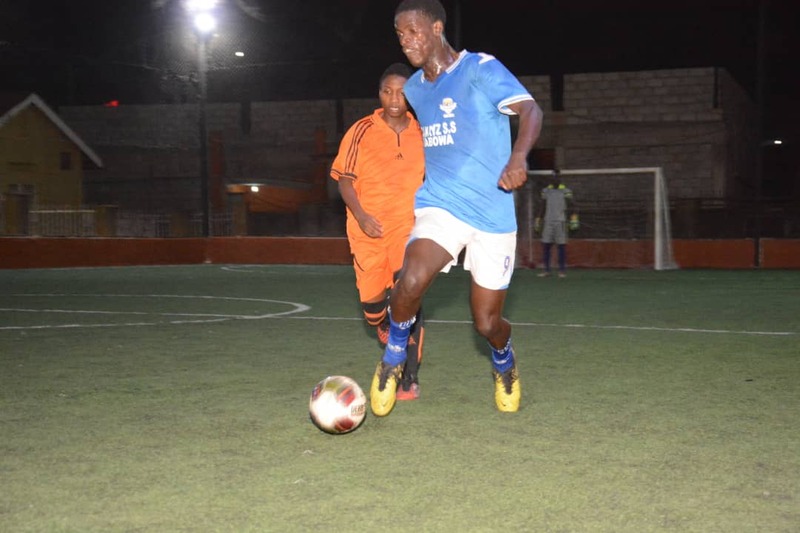 MENGO – Halfway through the 2018-19 Futsal Super League, Yeak Kabowa are odds on to win this year’s crown. Not that the others are not winning but rather Yeak look so on-form and unstoppable at the moment. After having a difficult start to the season, the Kabowa based side are formidable currently, winning games week in and out. At the first kick of the ball on Thursday, they lead the standings with 32 points, 5 ahead of second placed Park. In one of the 7 games to be played, Muhammad Ssembatya’s side take on struggling Elephants at the International Futsal Courts in Mengo. Ahead of the clash, Ssembatya does not want to be drawn into the title talk as yet but promises to try as much as they can to stay top for as long as possible. “Yes we are on top currently and we will try to be as long as possible, said Ssembatya. “Despite holding a 5 points caution, the race is still very open and we are not thinking about winning as yet. “You never know what happens when u go into the break so we must keep winning every game that comes our way. Coming up against Elephants, Yeak will be clear favorites to take all three points. Elephants are coming off a demoralizing 5-6 loss against Parka, in a game that they led twice. Scoring goals is not their (Elephants) issue but they let in more at the other end as they have conceded the most goals in the League this season (63). Currently seated third from bottom, a positive result against Yeak may do wonders for them and probably kick-start their season. Dream have picked up form at the right moment and are currently unbeaten in their last 7 encounters. Defeating Nomads 4-1 on Match-Day 15 saw Dream climb into third and they are currently 7 points behind the leaders. With the League and Cup double still on the cards for them and the fact that they have picked form, Dream is not the sort of opposition that struggling Crown would want to face currently. For Crown, they have been in wanting form of late, failing to win 3 of their last 4 games. Subsequently, the team that once sat on top of the League is now 6th, 10 points off the pace. They need to start winning games as soon as possible if they are to stand any chances of winning a first ever League crown. The other interesting tie on the night will see Park taking on Parakeets at 8pm. The last few weeks have been trying for Parakeets, losing 4 of their last 5 games. They were also not helped by the 6-2 loss against Typhoon on Match-Day 15, one that saw them drop to 4th. The only reason why they are still in the top four is the fact that those around them have been inconsistent. Coming up against Park will be a huge task for Parakeets as they face a side whose sights are very much set onto winning the League. Park fought tooth and nail to overcome Elephants in the last League game and will hope their defence can be better than they were in the 6-5 win. In the other day’s games, Equator take on Kabowa United, Nomad entertain Mengo City, Yap Stars lock horns with Typhoon while Bajim plays Aidenal in the opening fixture. Yeak’s Shaffic Avemah tops the scoring charts with 25 goals so far, four ahead of teammate-Enock Ssebaggala.